Genetics play a key role in defining the characteristics and traits of the human species. Successfully decoding the genetic make-up has unprecedented implications, as it can be used to directly identify, treat and even prevent a wide range of genetic disorders and diseases. There have been several advancements in the field of genetic sequencing, however, most are time-consuming. The latest technology of next generation sequencing (NGS) drastically cuts down the time involved in genetic sequencing. The global next generation sequencing market size is expected to grow at a massive CAGR of 19.5-20 percent until 2022. The growth of the NGS market is driven by increased applications, government genome projects, reduced costs, adoption of NGS clinical diagnosis and access to diversified platforms. Use of NGS in research is currently dominating the market, and while hospitals and clinics at present hold the least share of the market, they are the fastest growing segments in the field. The non-clinical segment is also expected to grow with the encouragement of pharmaceutical companies in using NGS for developing treatment regimes that are patient-specific. Next Generation Sequencing refers to several modern sequencing techniques that allow scientists to sequence DNA and RNA genomes at a faster and cheaper rate than previous Sanger sequencing technology. While NGS technology can be used to sequence an entire human genome in one day, the earlier Sanger technology took more than 10 years to deliver the final human genome sequence draft. NGS completes sequences rapidly by employing massive parallel sequencing through which millions of DNA fragments can be sequenced at the same time, saving time and costs. NGS can be used to examine human genomes, and identify and diagnose illnesses, even in-utero. Any later mutations of genes can also be identified, as well as the impact of clinical treatment on the genes. Since the concept of next generation sequencing was evolved, innovations have continued, to further boost the flexibility and output accuracy of NGS, to boost the diversity of its applications. Although the current technology allows mainly the identification of genome patterns, future innovations may identify means of adjusting desired genes, without damaging the overall genome sequence. Applications of NGS include genetic disease research, cancer research, personalized medicine, and biological drug development. Apart from human genomes, NGS technology can be used for sequencing the genomes of other organisms and plants. The largest end-user segment for NGS services currently is research, where NGS is used throughout the process, including during discovery and clinical trials, by means of predictive biomarkers. Since the market is still in nascent stages and trained personnel are also less in number, the majority of the market functions on an outsourcing model. Buyers can contact NGS service providers for their specific genome sequencing needs without having to invest in the entire setup. Currently, not all firms providing NGS offer data analysis as it is considered a niche area and needs a dedicated bioinformatics team. However, a new trend is emerging with NGS service providers forming strategic partnerships with academics and contract research organizations to provide fully integrated NGS services. 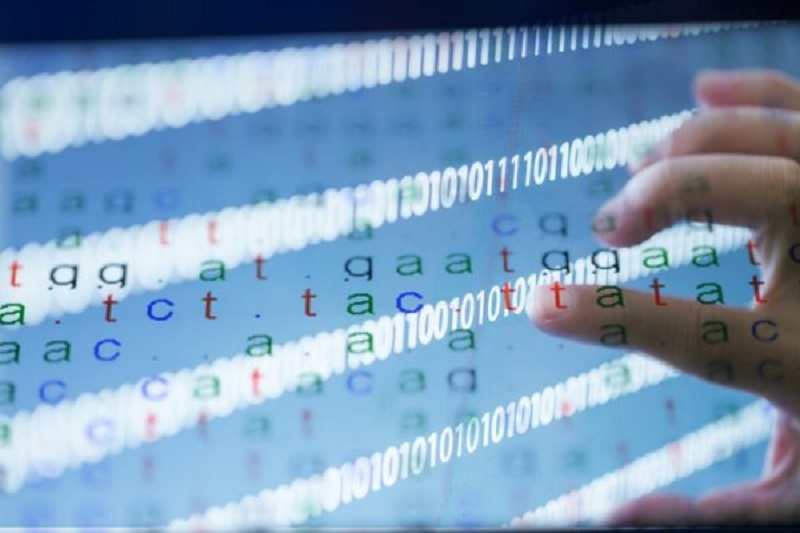 The next generation sequencing market size is estimated to grow at a significant rate. The applications of NGS, along with its speed and flexibility offer immense potential for research, clinical treatment, and pharmaceuticals. Although there are ethical implications of making changes to the human genome sequence, simply being able to accurately identify genomes provides major benefits. Further research is underway which may allow adjusting specific defective genes in the future, curing many illnesses.